Hopefully I have given you enough tease to get you curious about the tax advantages of a retirement savings account. I recommend you peruse these introductory posts to gain a basic understanding of retirement saving before reading this number-heavy post. Chances are you have heard about the tax advantages of a 401(k) or IRA somewhere before. Let me sum up and illustrate in an easy-to-understand way, and as always, I’m available to answer questions. Let’s clarify this first: retirement savings accounts have tax advantages over what? This post has 3 parts. Part 1, I explain what a 401(k) is. Part 2, I explain how you contribute to a 401(k). Part 3, I explain why you should contribute to a 401(k). A 401(k) is a retirement savings account sponsored by employers. In order to contribute to a 401(k), you need to be employed. 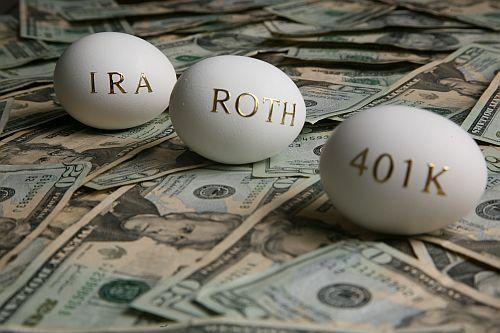 Continue reading Introduction to retirement savings accounts: Traditional/Roth 401(k)/IRA, what are they?